With more than 15,000 participants, 4,700 oral presentations, 11,000 posters and 1,400 PICO presentations, all under one roof, the EGU General Assembly can be an overwhelming experience. There is a network of corridors to navigate, as well as a wide range of workshops, splinter and townhall meetings to choose from. With that in mind, we’ve put in place some initiatives to make the experience of those joining us in Vienna for the 1st time a rewarding one. Especially designed with novice conference attendees, students, and early career scientists in mind, our mentoring programme aims to facilitate new connections that may lead to long-term professional relationships within the Earth, planetary and space science communities. 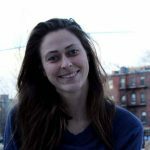 Mentees are matched with a senior scientist (mentor) to help them navigate the conference, network with conference attendees, and exchange feedback and ideas on professional activities and career development. 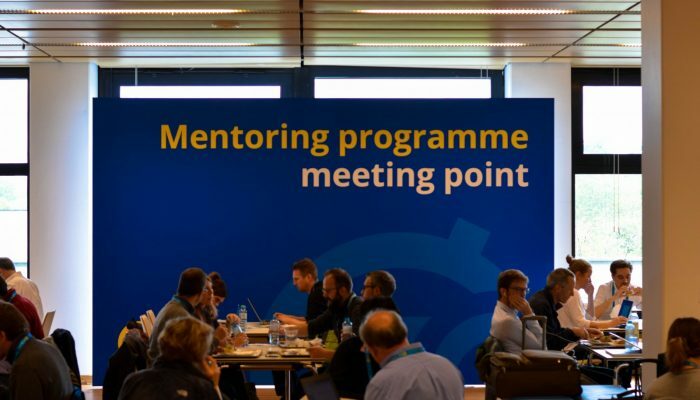 The EGU will match mentors and mentees prior to the conference, and is also organising meeting opportunities for those taking part in the mentoring programme. In addition, mentoring pairs are encouraged to meet regularly throughout the week, and again at the end of the week, to make the most of the experience, as well as introduce each other to 3 to 5 fellow colleagues to facilitate the growth of each other’s network. Mentoring an EGU novice student was the highlight of my 2017 General Assembly week. To see our elaborate and overwhelmingly large meeting through the eyes of a rookie makes you actively aware of many aspects that you have always taken for granted. To see the excitement in the eyes of a rookie when you take them deep into our organization and show them paths they had not expected to be open to them makes you appreciate all the General Assembly has to offer. We anticipate the programme to be a rewarding experience for both mentees and mentors, so we encourage you to sign up by following the link to a short registration form. The details given in the questionnaire will enable us to match suitable pairs of mentors and mentees. The deadline for submissions is 31 January 2019. You’ll find more details about the mentoring programme (including the requirements of the scheme) over on our website. There are even more benefits to choosing a PICO session at EGU 2016! Last chance to enter the EGU Photo Contest! Head on over to the EGU Booth!